The Best Western Apollonia is just 40 kilometers south from Paris with easy access by motorway A6 and Highway N7. The Best Western Apollonia offers a perfect location to discover the rich cultural and historical sites of the region, in particular painters of Barbizon, castles of Fontainebleau and Vaux-le-Vicomte. 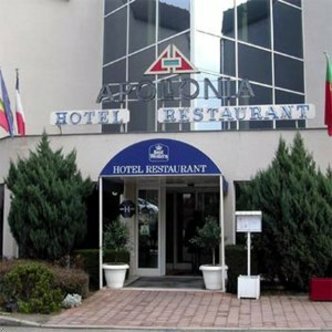 The Best Western Apollonia is a modern hotel, which offers comfortable and soundproof rooms and our renowned restaurant Apollonia. We do offer breakfast at an additional charge. We have conference and meeting space that accommodates up to 200, business services, 24-hour front desk and a doctor on call. Our rooms have cable television, AM/FM alarm clocks, dataports, mini-bar, hairdryer, iron and ironing board and limited room service is available.